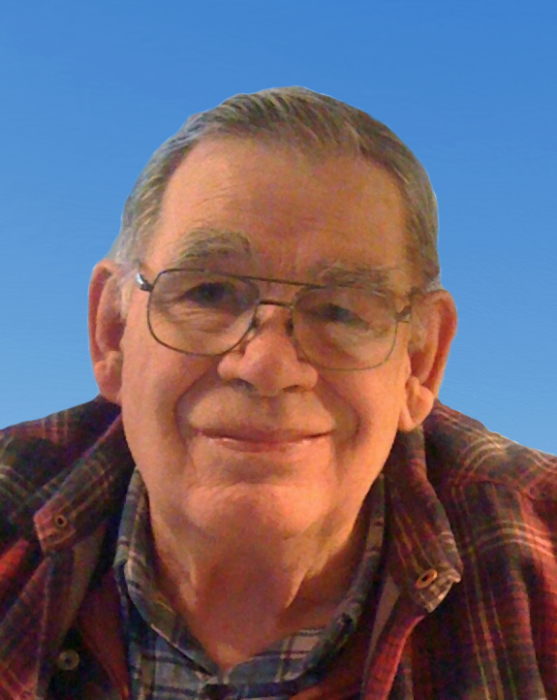 Kermit Leroy Fletcher, 84, of Evansville, passed away on March 24, 2019, surrounded by his family. He was born on February 19, 1935 to Roy and Eunice (Evey) Fletcher in Vergas, Minnesota. He grew up on the family farm in a home where his father had cut the timber and milled the boards for its construction. Kermit was one of four children which included his sister Lois, and brothers Clinton and Russell. He was baptized at the Frazee Baptist Church and attended country school in the Vergas area until the 8th grade, graduating in 1952 from Pelican Rapids High School. Kermit was known for having a very strong work ethic. This started as a young man working on the family farm. As a teen, he lived and worked at McGee’s Resort on Loon Lake in Otter Tail County. He would stay there all summer, taking guests of the resort fishing both early in the morning and late at night. He would then clean the fish they caught. He later worked in the logging industry and on sawmills. In November of 1958, Kermit entered the Army and was honorably discharged from the Army Reserve in February of 1964. Although he did not see active duty, he was involved with the Military Police and held distinctions as a Marksman (Pistol), Marksman (Carbine) and Sharpshooter (Rifle). Kermit met the love of his life, Darlene, at the Skelly Cafe in Evansville (now Backroads). They married on October 6, 1962. They lived life on the road in a small camper while Kermit worked construction, helping to build Interstate 94. They later moved into Darlene’s childhood home in Evansville. They had three children, Douglas, Randy and LeAnn. He worked as District Highway Maintenance Supervisor for the Minnesota Department of Transportation for nearly 30 years. Kermit would always lend assistance to stranded motorists and would go as far as bringing individuals and families to his home, so they had a roof over their head and were safe. He also had a tough time getting the heavy equipment operation out of his blood, and later purchased a Caterpillar D8 dozer and scraper. For many years, he would work until sunset on local projects. You cannot drive anywhere in the Evansville area without seeing something that was built by Kermit, i.e. a building site, road, driveway or even an airplane runway. Kermit was really known as a pillar of the community and was involved in many aspects. These included being a Troop Leader for the Boy Scouts of America, the Fire Chief and first responder for the local volunteer fire department, as well as being on the church council and cemetery board. He also helped spearhead and drive many local community projects and developments, including the fire hall/city hall, the senior center, the sod hut at the historical society, and the latest addition to the Mound Grove Cemetery including the Veteran’s Memorial. One of Kermit’s true passions was flying. He loved spending time in the air with family and friends. You could really see the joy on his face when he would put the plane into a stall and watch his passenger’s stomach get queasy. He was very proud of the Piper Cub that he owned with friends. Kermit was a real outdoors kind of guy. This included hunting trips with his good buddies to Wyoming and northern Minnesota, as well as countless fishing trips around the Midwest. As a scout leader, he shared his knowledge of the woods, camping, canoeing, and how to tie knots correctly; there was no end to what he could build with small trees and a spool of rope. He also enjoyed gardening and bird watching. He is survived by his son, Randy “Rudy” (Ginger) Fletcher of Evansville, MN; daughter, LeAnn (John) Strand of St. Michael, MN; grandchildren, Lynsey (Vincent) Hofford of Otsego, MN, Tyler Strand (Kelly Doty), Saffron, Camilla and Hewett Fletcher of Evansville, MN; great-grandchildren, Landry, Adelyn and Ava Hofford; sister, Lois (Vern) Arntson of Sabin, MN; sister-in-law, Karen Fletcher of Harris, MN; and several nephews. In addition to his parents, Kermit is preceded in death by his wife Darlene; infant son, Douglas; brothers, Clinton and Russell Fletcher; and sister-in-law, Kathy Fletcher. Visitation: 3 – 5 PM Sunday, at Glende-Nilson Funeral Home in Evansville, and one hour prior to services at the church.